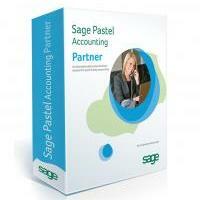 Pastel Receipting from Softline Pastel is a specialised Add-On module for Pastel Partner. It allows you to enter data once in order to process and print receipts. You can do this without having to use your cash book. Once you are ready, Pastel Receipting will automatically move the receipts into your cash book for you. The provision of printed receipts of payment and the creation of the cash book entries can be achieved in one simple operation. If you require your income to be realised only after receiving payment from your customers, you can make use of the receipt analysis codes.